Beginning in March 2013, Springer and the Korean Society for Micro and Nano Systems will partner to publish a new interdisciplinary journal Micro and Nano Systems Letters (MNSL). 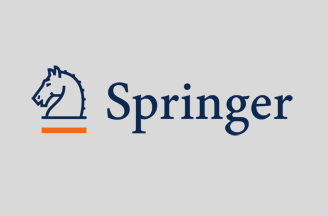 As a fully sponsored open access journal, it will be part of the SpringerOpen portfolio, available on link.springer.com. MNSL offers express online publication of short research papers containing the latest advances in micro- and nano-scaled devices and systems. It also offers a rapid route for the international dissemination of high-quality research findings from both the micro and nano communities. “It is our great pleasure to work with Springer in the publication of MNSL. With the growing interest in micro- and nano-scaled devices, systems, and manufacturing technologies, we firmly believe that MNSL will become one of world’s leading journals in the field. As an open access journal, it will quickly gain attention, serving related academic communities as well as industry,” said Editor-in-Chief Professor Sang Sik Yang from Ajou University, Suwon, South Korea. Mark de Jongh, Senior Publishing Editor and coordinator of the Springer publishing program in Korea, said, “We are very enthusiastic about co-publishing this new open access journal. International research in the fields of micro and nano systems has been growing and South Korea is seen as one of the leaders in cutting-edge developments. The journal will be a valuable addition to Springer’s impressive Korean publishing program.” Springer currently co-publishes 41 Korean society journals. All articles published by Micro and Nano Systems Letters will be made freely and permanently accessible online immediately upon publication, without subscription charges or registration barriers. According to the SpringerOpen copyright and license agreement (Creative Commons Attribution License), authors of articles published in MNLS are the copyright holders of their articles.